Ray,I’m a novice bird owner and your article is very valuable to me. I’m so glad I came across it. 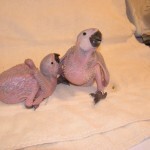 I have a young African Grey (Madison) hatched Nov 28 and purchased Dec 23. I’ve been feeding it Exact formula with an eyedropper and was told by the breeder to keep it between 100 and 112 degrees, which I’ve been doing, monitoring the temperature with a digital thermometer. I had not been disinfecting the utensils, simply washing them under the faucet after each feeding. I just bought a gram scale and will begin daily weighings tomorrow. How do I know when to start introducing fruits or veggies? Is there a time when the formula and fruits and veggies overlap? If so, do I maintain her formula? Is it ok to give her sips of water between feedings? I did so today for the first time and she seemed to really enjoy it. Thanks again! Yes Dennis there is a time when weaning foods and formula overlap. Once your chick is spending some of his/her time up and exploring and looking at activity beyond his brooder/tub/box then you want to start giving him some foods to explore. You don’t just cold turkey stop the formula. Keep an eye on your chick’s crop content, if you palpate the crop you can feel how much food is in it. Parent birds show the youngsters how to forage and which foods are safe, in order to wean your bird onto a varied diet it helps to show him what is good, rather than just leaving it in a bowl. I do this by sharing foods with chicks, for example, pick up a banana, show the bird, look, banana, break off a small piece and eat it, say “good” then offer a small piece to the bird, sometimes turning away with your prize will make a reluctant chick even more interested in what you have. Weaning is a gradual process and you don’t want your chick experiencing hunger in hopes of forcing them to eat on their own. They will refuse some of their meals when they get close to weaning and then beg for the next feeding. Keep a nice variety in front of your chick, show him what is good and you will have no trouble tapering off on the formula when the chick is ready. Can 4 young sun conures be trained for free flight or is it that each has to be trained individually to avoid distractions ?? went through your entire website and articles… i just keep reading them whenever free… really amazing stuff, has changed my entire concept of raising birds. Thanks a ton, am based in India, so cannot attend your courses :-(, but if you can at least help me with these basic questions, it would be really helpful. Thanks in advance, awaiting your response eagerly!! Whenever training a group of parrots to fly, it is important to train each individual to have good skills in the flying area before you let them fly with another bird. Once flying with a second bird, there is the tendency to pay attention to the other bird instead of to you. Any bird in the group can set the direction the group goes and this is not always a good thing. It is easy for a new flyer to take even an experienced flyer off into dangerous situations. So it is important that each bird understand the rules and respects the boundaries of the flying area before letting them fly with another bird. Good luck in India. Maybe someday I could come teach a flight training seminar in India. That would be a wonderful experience. And have tried indoor flights. Yes a grey can be trained for freeflight. We had a gentleman named Bart on the freeflight list some years ago that flew two greys in Belgium. He had a minor problem of them going to town and hanging out but they were great flyers and he did a wonderful job with them. To train them, you will follow the same process I describe on the website: get them flying indoors to and from a perch as a game to earn a treat and get them comfortable being outdoors (in cage). 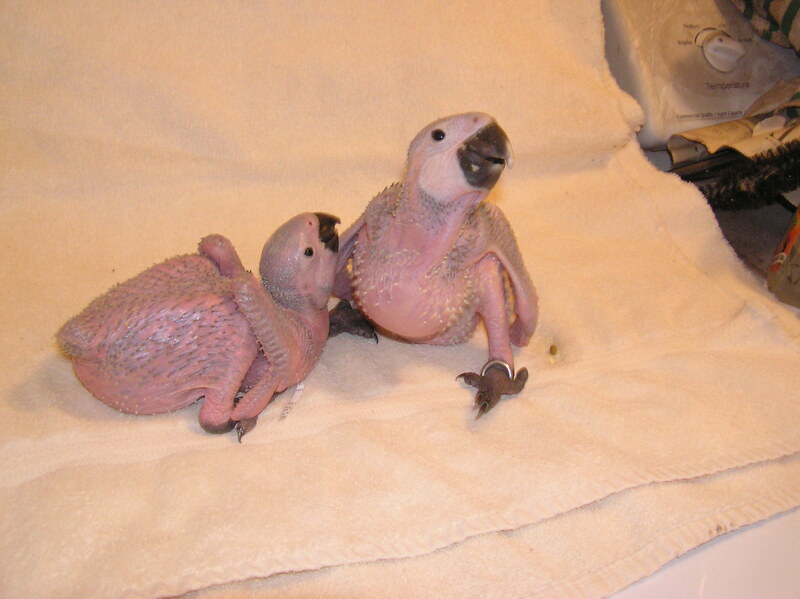 My partner and i have been breeding an assortment of parrot species for 10 years now. 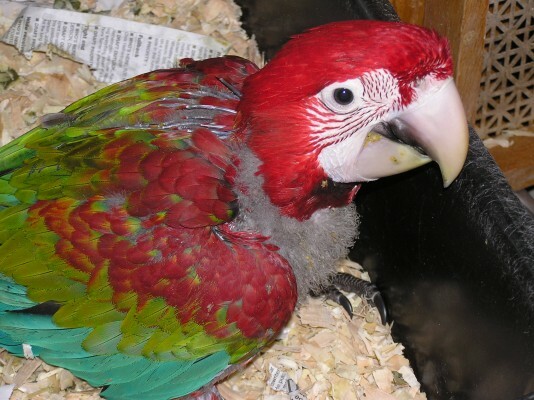 We have 3 pet parrots in our house, a Blue Front Amazon named “Sonny”, a Blue Quaker aka Monk Parrot named “B-Fer”(“B” for Bird,lol) and recently we handraised a Red Side Eclectus Hen, for a family pet. We have named her “Jessie”, she has bonded greatly with me to the point of regurgitating food and trying to feed me. Jessie is fully flighted(we prefer not to clip), we do take her outside regularly walking the neibourhood, redcently Jessie was spooked while out on a walk and took off into the trees, we lost sight of her,(long story short), a day and a half later Jessie found her way home right to the back door much to our unbelievable surprise, Jessie has also caught us on the way out the back door and shot out into the palm trees, she flys straight down to my forearm when called. As we are in Australia, my concern with Jessie free flying is the native Sulfur Creatsed Cockatoo, we have alot of them locally. I had read and seen articles etc before of free flight parrots in large disused warehouses etc, unfortunately thats not an option here. We have had no problem giving Jessie a few free flights and spending time in the backyard with her, she seems to have her own boundries in the yard. Any pointers would be greatly appreciated. 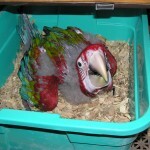 I have a 11 week old white indain ring neck parrot can I train it to free fly? Yes you can train an eleven week old Indian Ringneck parrot to fly. 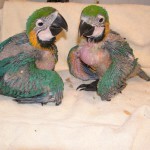 But understand that it will likely be less social in its early life than most other parrots. The Ringnecks that we trained would just as soon bite our finger than take the peanut. It was not until they were mature that they began to get friendly. They are also smaller birds so will be hard to see if in a tree. They are strong flyers so will likely cover a lot of area, disappearing from sight and remaining out of sight for long periods of time. 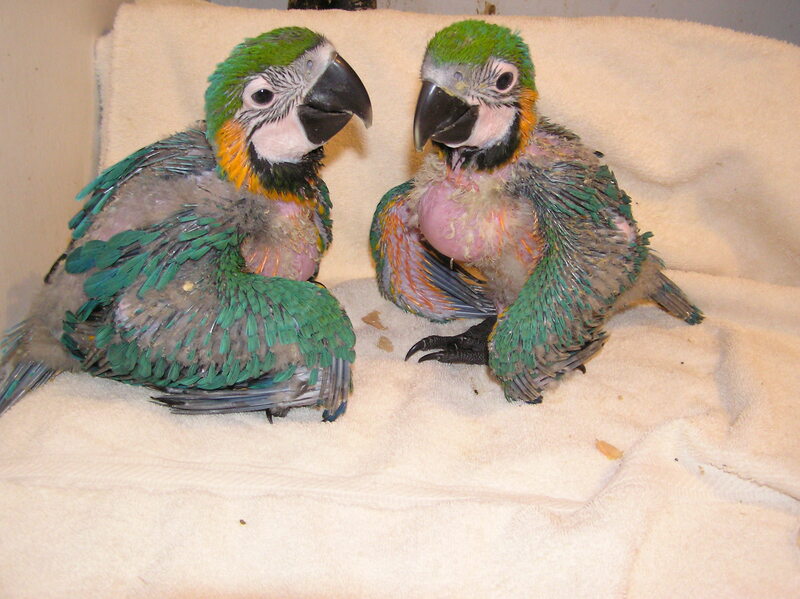 I’d like to talk to you about Blue and Gold macaws. Is there a number where I might reach you. I cannot help you train a bird that you have clipped its wings. If you want it to fly, don’t clip its wings. It needs every bit of feather if it is to safely deal with the many issues it will face when flying outdoors. The difference between surviving a hawk attack and being lunch is a fine line. When you take some of its feathers away, you make it more likely the hawk will win and your bird will lose its life. Until the birds feathers grow out again, I would discourage you from letting it fly outdoors, period. You will want it to fly indoors if possible. Your goal is to keep it interested in flying as a way of getting around. Often a clipped bird will find flying dangerous and a lot of work and will learn to climb and walk as its preferred method of getting around. Since it will take nearly a year for those feathers to grow out again, you now have a long time to try to keep the bird interested in flying. Good luck. Hi, im rather new to big birds, and i got a sun conure from a rescure. I have 8 budgies, 5 are hand trained, but i found it rather hard to get even those little birds trained without getting his wings trimmed. Most of my budgies had trimmed wings, but they grew back and now they are flying around the house, The conure i just got is 8 years old and is not tamed at all. He shows some aggressive signs still after having him for 3 weeks. His wings are not trimmed. Every time i coax the bird to leave his cage, he just instantly takes off. I feel like i have to trim his wings to properly interact with the bird. If i do trim his wings, how long will it take for all the flight feathers to grow back and will it be possible to train him for free flight? I take it from your post that you have not read any of the articles on this website. I do not recommend you attempt to flight train this bird or even take it out of its cage at this time. The first thing you should do is read the little book called “Don’t Shoot The Dog” by Karen Pryor. Then I highly recommend that you learn how to clicker train this bird to touch the end of a target stick while it is still inside its cage. Do nothing else. This is important because your little bird is probably scared all the time. It has just been moved to another home where the people there don’t understand it at all and it does not understand them. By target training it, you are teaching it that it can trust you to give it goodies if it does things you want it to do, i.e. it learns how to get you to be nice to it. You both learn how to communicate to each other in this way. Right now it probably has you classified as “things to avoid”. You want it to reclassify you as “things to pursue”. That is your mission with this bird. Get it to see you as the source of good things so it looks forward to seeing you. Once you are there, you can use your clicker to start working on other things like “step up” and “step down” If you clip its wings it will take roughly a year for them to grow back. But more importantly, clipping its wings will allow you to force yourself on this little bird against its wishes. Is that really how you want to relate to this bird? This is a common practice in modern aviculture but it does not need to be this way. If you follow the advice above, you can interact with this bird on its terms and within a few weeks (as someone experienced with this process it would only take me a couple days) you can have it happily stepping onto your hand, even with full wings. I wrote to you around 8 months ago about our free flying Eclectus parrot. Jessie our Eclectus parrot is over 1yr old now, Jessie still goes for “Free Flights” when i take her outside or when she catches us off guard and shoots out the back door. 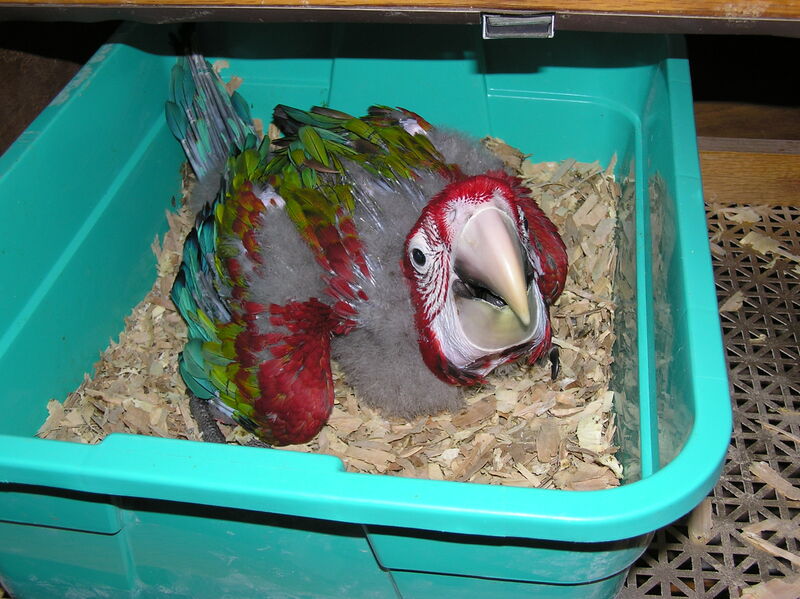 So far there have been no issues, we haven’t had a problem with the native Sulphur Crest Cockatoos because Jessie does not like them, if she hears them, she won’t go out, which is good they are 3 x the size of an Eclectus parrot. My concern is that the Cockatoos may come when Jessie is exploring the backyard trees and possibly scare her off but Jessie does come to me on command with no reward or treats etc so i don’t see any problem there. Jessie does not seem to want to associate with any of the natives, even distant Lorikeet calls get Jessie’s ears pricked up. Jessie is happy to just sit in the trees, nibble a little here and there just doing her own thing till i call her back. To get her to return all i have to do is tap my forearm with my other hand and call her name. It does seem that Jessie has chosen me as her mate, she tries to feed me etc and constantly just wants to be with me, on my shoulder whatever she just has to be with me, right now she is snuggled under my jacket at 7pm while i am on my PC. I believe Jessie’s “Free Flight” is successful purely because of the “Bond” we have. The downside of this is i think it would be very difficult to get Jessie to pair and bond with a male Eclectus, which is our next challenge.